I have an upright heater that has a digital control panel on it, and the power button started playing up and not responding. 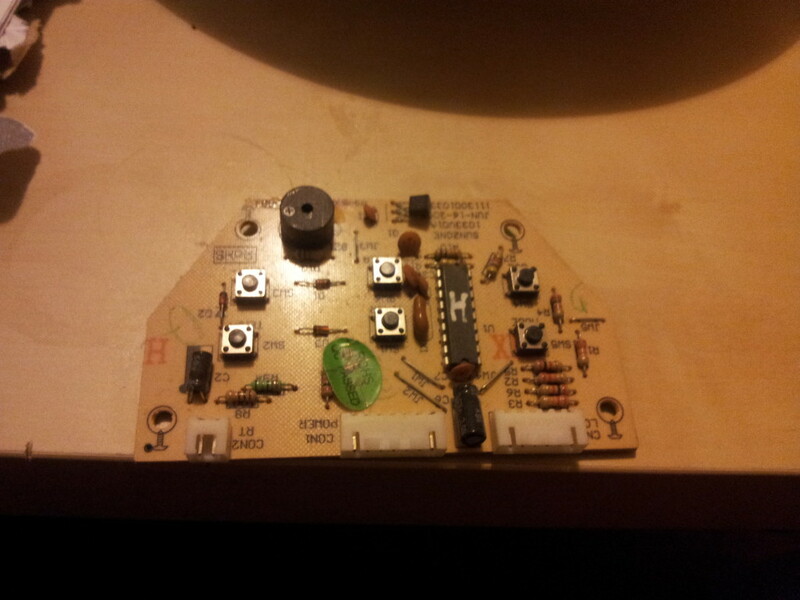 Luckily for me, the swich locations are illustrated on the PCB. I soldered in the switch into the power location. All back together and its working well again. A relatively simple post, but effective nontheless! 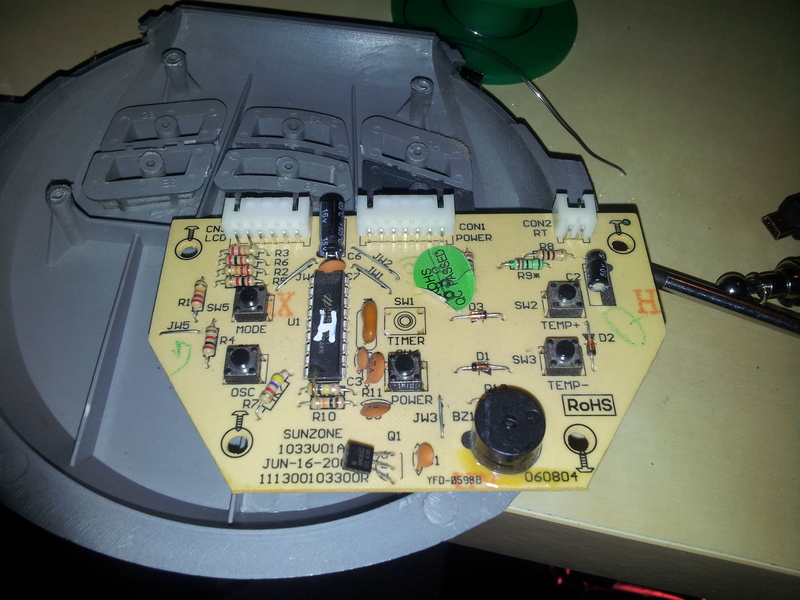 This entry was posted in Electronics repair and tagged buttons, heater, heater repair, pcb mount, pcb repair, repair, soldering by admin. Bookmark the permalink.